Help Please. Do you think there is enough contrast? Thread: Help Please. Do you think there is enough contrast? I am starting a labyrinth walk quilt and am just not sure about the fabrics. I thought there was enough contrast but can't decide if it will be OK or not as it grows. Here is the 1st set of blocks. Wow. I have just started and used purple shades between black and white and contrast was my problem as well. That looks great! Love the colors. Who is that pattern by? I think they look great! Can't wait to see the finished project. Looks like enough contrast to me. I think it works out great! The pattern was in Quilt Magazine designed by Chris Florence & Emily Sirkin. I'm not sure what month my SIL sent it to me because she knew i wanted to do one of these. So far I can't believe how simple it has been (be sure to label pieces as you cut) I am excited can't wait to get it done but I have some other projects going that have to get done so I am working on it in between. I'll post pictures as I go. I think there is a lot of contrast. Don't worry! You did very well!!! I think there is plenty of contrast. Looking great! 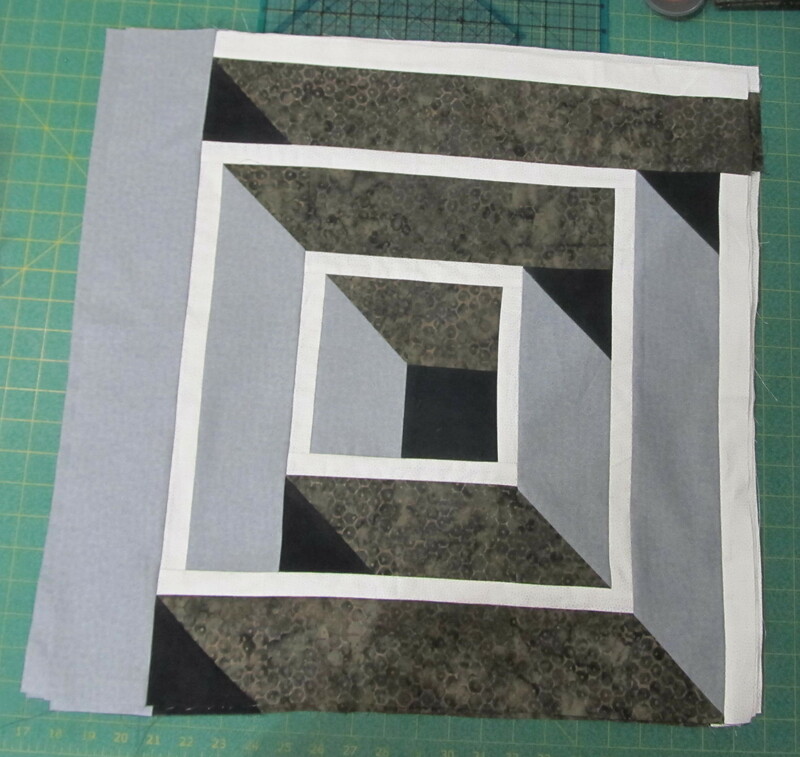 I learned a lot about getting the depth correct with this cube quilt I did - http://www.quiltingboard.com/picture...r-t221088.html and threw away many a cube that just did not pop! Please post when done and be sure to download the corrections. I cut as I went along and the second block was much harder for me! Labyrinth Walk The pattern was in Quilt Magazine April/ may 2012 I think you can get a free down lode of the pattern now. I think there is enough....and cant wait to see the finished product!! Looks great to me! Keep showing us progress. 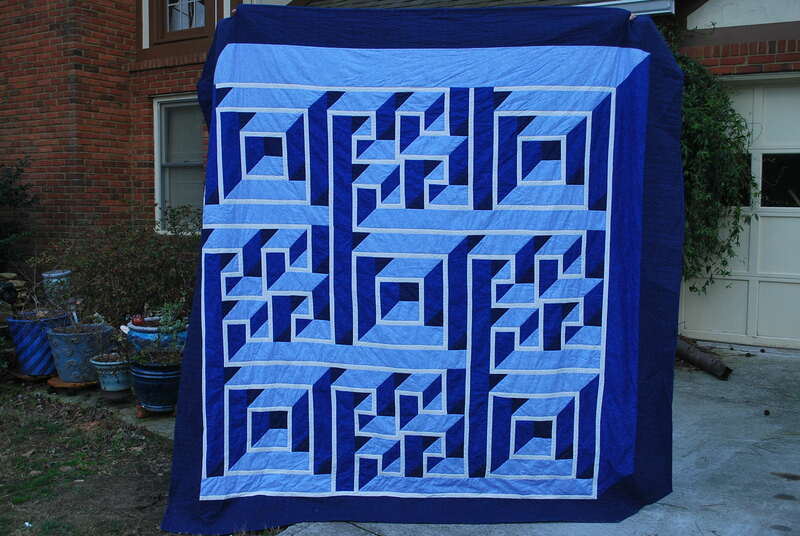 And Mary Quilting, yours is beautiful. Apparently there were mistakes in the magazine pattern. I cannot find the corrections page on the Quilt mag website, nor can I find a free download of the pattern there. Thought I heard the pattern was so popular the designer is coming out with a printed pattern for it to sell. The corrections are in red. Last edited by Prism99; 06-11-2013 at 09:41 AM. Can you photocopy the block? That will show you in black and white how the contrast shows. I think it's good because you have white and black at each end of the spectrum and a light and medium grey in between. I think the colors you chose work well together...very nice. I think it is great. Is this pattern as difficult as it looks?